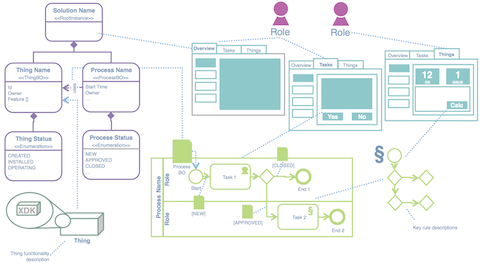 The draft itself captures all the relevant elements for an IoT Solution, including Stakeholders & Roles, the Domain Model, the Asset (or Thing), the Business Processes and Rules, as well as the User Interfaces. A special focus is set on the interplay of the elements - something which is of high importance. If you are interested, you can find the article here as well as a corresponding slide deck here. I'm happy to receive your feedback or thoughts on the material! I proudly announce my first mobile app that ever made it to the App Store (Apple this time). While it is actually not the next big thing (this is yet to come), it nevertheless served as a good test on getting an app approved and published in the Apple App Store. But let’s begin step-by-step. If you want to try it out for yourself, just search the App Store for „Magic Mimi“ or go to https://itunes.apple.com/us/app/magic-mimi/id1063151668. „We have lots of kids downloading lots of Apps. Parental controls work great to protect kids, but you have to do your part too. So know that we're keeping an eye out for the kids.“. Ok, let’s keep this in mind—-Magic Mimi is an App for kids. No advertisement in so far (and I will make sure to keep it out). „If your App looks like it was cobbled together in a few days, or you're trying to get your first practice App into the store to impress your friends, please brace yourself for rejection. We have lots of serious developers who don't want their quality Apps to be surrounded by amateur hour.“. Ok. I definitely spend a lot of hours into testing, internationalization, and others things but in the end all the artwork were made by my kids—-for kids. No professional artists for far. „We will reject Apps for any content or behavior that we believe is over the line. What line, you ask? Well, as a Supreme Court Justice once said, "I'll know it when I see it". And we think that you will also know it when you cross it.“. This is a really though one that I think can kill every app. While all of this seemed very hard to overcome, the most frustrating experience publishing an app in the Apple App Store is the time it needs to get checked. I submitted Magic Mimi on a Sunday and it was in review for a couple of minutes just seven days later! Unfortunately, the review just took a couple of minutes until someone (or maybe just a script) figured that I did not link directly to a privacy statement webpage (which is required for apps for kids). I actually created the privacy statement and linked it on the homepage but only referenced the home page directly. Fixing this error took me three seconds. But then I thought about it a couple of minutes longer: What if every feedback loop involves one week? So I carefully checked every detail of the many meta information fields again. Finally I held my breath, clicked submit again and prayed that there will not be any issue with the app itself (just see the other bullet points from Apple’s guidelines). Good news: I received the next feedback after just five days instead of seven! And the really good news: Magic Mimi got approved and you can finally download it to your phone! Tired of hooking up an Arduino to test another IoT framework? Or working inside a VM without actual access to hardware? Don't worry anymore, Thingbench helps you get through it. You can easily integrate the corresponding HTTP calls in any IoT framework you like. If you need anything else than a simple lamp, please feel free to browse the code and add your own virtual devices. 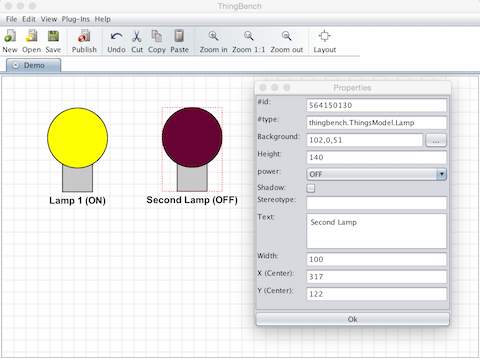 The Thingbench is based on Processeditor (http://frapu.de/code/processeditor/index.htm), which makes it easy to create your own devices with a visual representation. If you feel that this is the real thing---or just see the code example in color (sorry for my plain old blogging tool)---go straight to the Github project page: http://github.com/frapu78/thingbench. If you're really interested, either fork or just drop me a mail! Actually, I'm looking into this topic for the last couple of years. Today, I'm really happy to be part of an ongoing experiment in Open Publishing that tries to capture the recent developments in the area of Enterprise IoT. The project was initiated and is driven by Dirk Slama, renowned expert and author of Enterprise BPM and Enterprise SOA. Besides Dirk, I'm very happy to work with Jim Morrish and Rishi Bhatnagar as co-authors. While Jim has a strong background as an M2M and IoT analyst, and hence brings in a quite independent view, Rishi is responsible for Digital Enterprise Services at Tech Mahindra and brings in the point of view from an international IT solution provider. Besides a lot of interesting case studies and interviews from different application domains, we introduce the Ignite| IoT Methodology made up of parts on strategy execution as well as a solution delivery. While the former focuses on defining and implementing an IoT strategy from the point of view of a large enterprise organization, the latter provides project templates, checklists and solution architecture blueprints to capture IoT best practices. 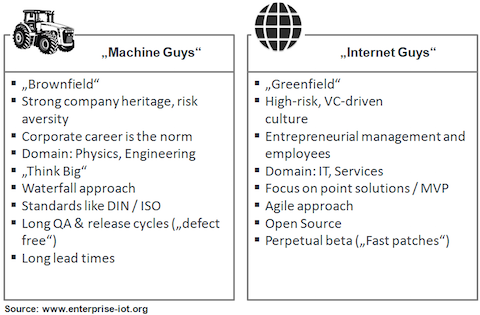 Well, it's time for you to stop reading here and dive right into the Overture of Enterprise IoT. Please note that---due to it's ongoing nature---the page is alive and some parts will be refined over time! I recently took some time to finish the initial wallpaper photographies page. If you like---just as I do---using nice photographs as wallpapers, please feel free to check this page. Just to test you: Any idea of this one?